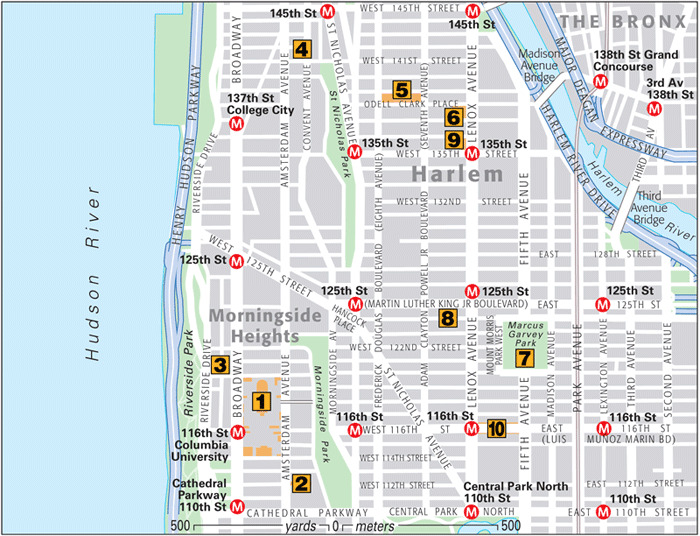 The area between Morningside Park and the Hudson River, from 110th–125th streets, is dominated by Columbia University and two important churches. 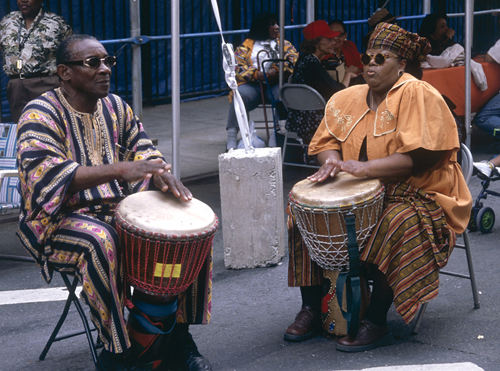 Further west and extending north is Harlem, America’s best-known African-American community. In the 1880s, when rail connected the neighborhood to Midtown, the large townhouses were occupied by Irish, Italian, and Jewish families, but by the 1920s black families predominated. The Harlem Renaissance, when nightclubs with black entertainers were frequented by whites, ended with the Depression. Nevertheless, recent development is reviving the area, causing some to declare a second Renaissance. 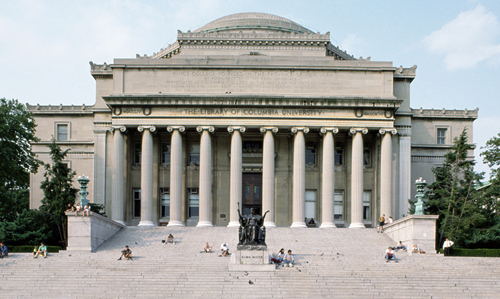 One of America’s oldest universities, noted for its law, medicine, and journalism schools, Columbia was founded in 1754 as King’s College. 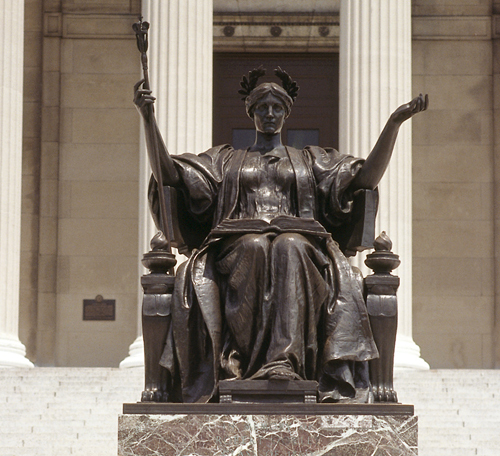 It moved in 1897 to its present campus, designed by Charles McKim. Notable buildings include McKim’s 1898 Low Library, and St. Paul’s Chapel with three windows by La Farge. The mother church of the Episcopal Diocese of New York, begun in 1892 and still incomplete, is the largest cathedral in the world. Over 600 feet (180m) long and 320 feet (96m) wide, the church is a mix of Romanesque and Gothic styles. Its most impressive features include the west entrance, the rose window, bay altars, and the Peace Fountain on the south lawn. The medieval stone carving techniques used on the building are taught in workshops for disadvantaged youths . 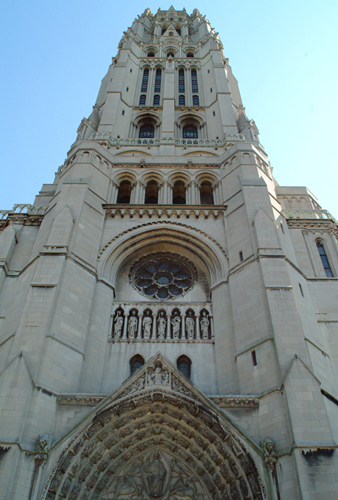 This skyscraper Gothic church modeled on Chartres cathedral and financed by John D. Rockefeller Jr. in 1930, has a 21-story tower with wonderful Hudson River views. Inside the tower is the world’s largest carillon in the world, dedicated to Rockefeller’s mother. 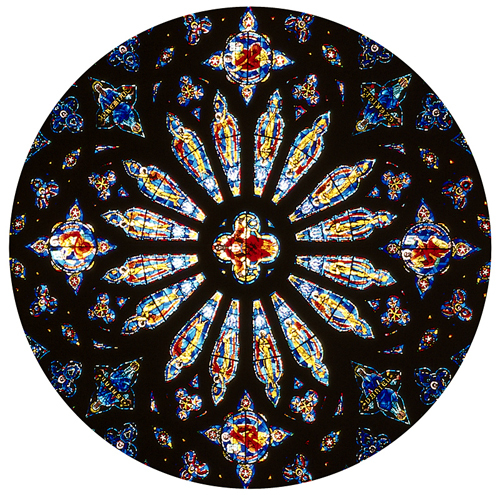 The brilliant stained-glass windows are copies of those at Chartres with four notable exceptions – the early 16th-century Flemish windows on the east wall. The congregation has long been active in liberal social causes. Once part of the country estates of the wealthy, like Alexander Hamilton whose 1802 home, Hamilton Grange, is here, this location on a hill above Harlem became desirable in the 1880s when an elevated rail line was built. Fine residences went up between 1886 and 1906, and in the 1920s and 30s they attracted Harlem’s elite, when the area was dubbed Sugar Hill. Chief Justice Thurgood Marshall and musicians Count Basie, Duke Ellington, and Cab Calloway were among those who lived here. These fine houses, originally known as the King Model Houses, went up in 1891 when Harlem was a neighborhood for the gentry. Three architects, including McKim, Mead, and White, managed to blend Renaissance, Georgian, and Victorian styles and create a harmonious whole. Successful African-Americans moved here in the 1920s and 30s, giving rise to the nickname Strivers’ Row. One of the oldest and most influential African-American churches in the U.S. was organized in 1808 by a group protesting segregation within the Baptist church. The congregation became politically active (starting in 1908) under such leaders as congressman Adam Clayton Powell, Jr. Today the church is widely attended on Sundays by many who come to hear the wonderful gospel choir. A black nationalist who encouraged emigration to Africa, Garvey became a hero of the Black Pride movement, and the park’s name was changed from Mount Morris in 1973 to honor him. It adjoins the Mount Morris Historical District of handsome houses and churches from an earlier, affluent, German-Jewish era. In the 1920s, as Harlem became mostly African-American, the synagogues became churches, and the houses were divided up. 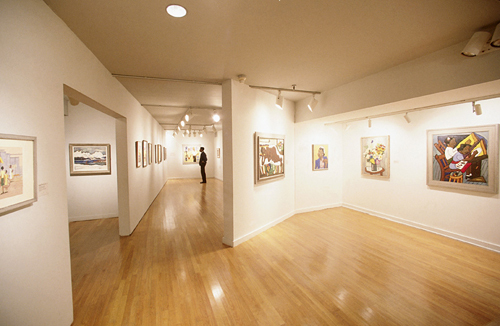 Opened in 1967 as an artists’ studio, the organization expanded to become an important center for work by black artists. A local bank donated space for the present building, which opened in 1982 and has undergone a major expansion to add more gallery space, an enlarged sculpture garden, an auditorium, and a café. This complex, opened in 1991, houses the largest research center for African and African-American culture in the U.S. The immense collection was assembled by the late Arthur Schomburg, who became curator when the collection was given to the New York Public Library. The original building was the unofficial meeting place for writers in the black literary renaissance of the 1920s, and the present building includes a theater and two art galleries. The mosque, Masjid Malcolm Shabazz, was the ministry of the late Malcolm X, and the area around it has become the center of an active Muslim community. Local shops sell books, tapes, and Muslim clothing, and restaurants serve Sengalese cuisine. 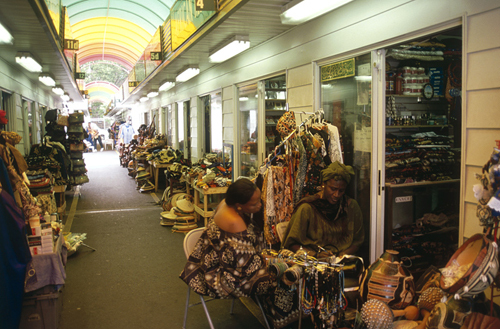 Street vendors who used to crowd the sidewalks of 125th Street have been moved into an organized complex of market stalls selling African art, dolls, drums, masks, dashiki shirts, and fabrics in African prints.